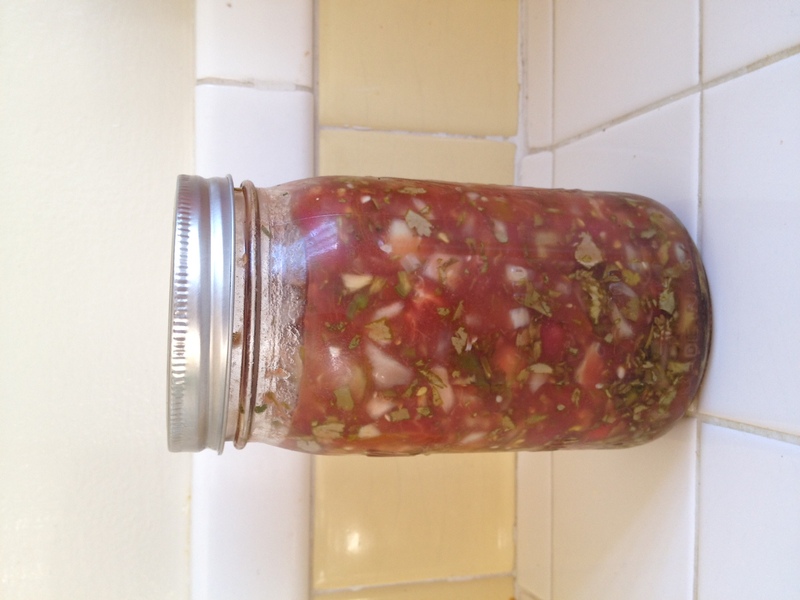 Here is the probiotic rich version of salsa that will keep much longer. In a pot of boiling water, place tomatoes one at a time for 5 seconds per side. Remove and easily take off peel. 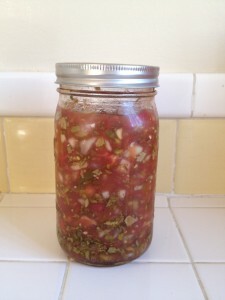 Place all ingredients in a glass quart jar and mix well with a wooden spoon. Make sure there is an inch of space between the lid and the salsa. Seal the lid and keep in on the kitchen counter for 2 days, then put it in the refrigerator.